Is My Neighbor/Landlord Liable for Apartment Fire Damages? | The Voss Law Firm, P.C. Could My Neighbor or Landlord Be Responsible for Damages From an Apartment Fire? What if you came home from work to find that your apartment was destroyed in a fire? Then, you find out that your neighbor left a frying pan unattended on her gas stove. You most likely have tons of questions racing through your mind. What if I don't have fire insurance? Who is going to pay for my losses and damages? Can I sue my neighbor? Will the apartment complex pay for my personal belongings that I lost in the fire? Fires can destroy buildings in a matter of minutes, and it could cost you thousands of dollars to replace your personal belongings. This doesn't seem fair since the fire was caused by your neighbor's negligence, but if you don't have apartment complex fire insurance or renter's insurance this could be your reality. However, there may be other possible avenues to consider. It is wise to check your options if you do not have fire insurance. Is My Apartment Neighbor Responsible? 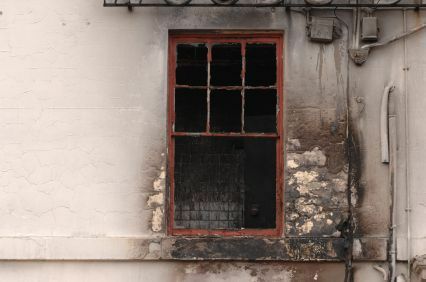 If the negligent neighbor has fire insurance, their insurance may pay for damages to the surrounding apartment units. Their insurance would most likely cover your losses from the fire and damages caused by smoke. However, what if the insurance company doesn't pay you what is fair? Or, what if they deny coverage of your personal belongings? A skilled insurance litigation attorney may be able to help you recover what is rightfully yours. Is My Apartment Complex Responsible? You should check your apartment lease contract, but typically complexes do not pay for apartment fire damage unless the fire was caused by faulty wiring or an electrical problem. You may be able to seek damages if proper fire alarms and smoke detection systems were not installed, if there was a lack of fire insulation, or if it is determined that better fire walls would have slowed the spread of the fire, although this is rare. These negligent failures may have allowed the fire to spread rapidly and cause more damage to the apartment building and your apartment unit. The apartment owner may have a special insurance policy that you may be able to take advantage of due to these findings, or you may be able to bring a lawsuit against the landlord or apartment owner. If the fire was the fault of your landlord or another tenant or neighbor, you may be able to recover your losses. You should seek legal advice from a skilled attorney in these matters. Consult with a Texas insurance claim attorney at the Voss Law Firm, and we will determine if you have a legal case and help defend your rights. Call us today at 888-614-7730 for a free legal consultation. Download your FREE copy of attorney Bill Voss's book: Disputes With Your Insurance Company - What All Consumers Need to Know.